Full Picture has won a number of awards and commendations. Many from the Travel Industry, for which it was specificaly developed. Travolution Award for "Best Technology Product"
We were incredibly honoured to take home the "Best Technology Product" Award at the 2017 Travolution Awards, in recognition of our Full Picture partnership with CLIA and their Agents; who now have FREE use of Zolv's Full Picture software. The Best Product Award recognises the individual technology product which is considered to have made the biggest impact in the market. 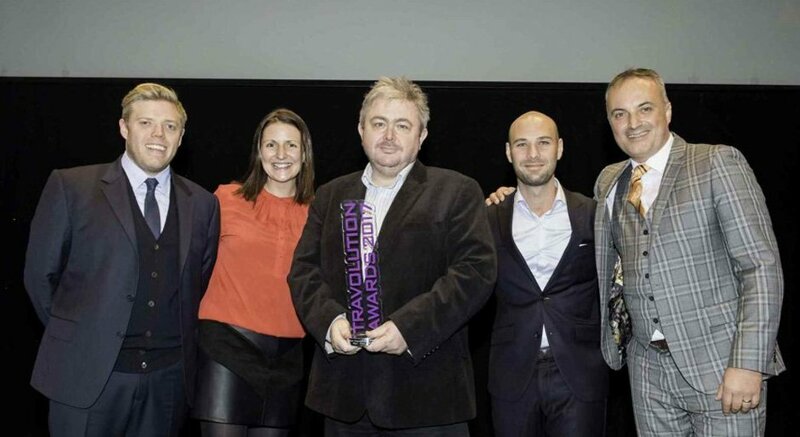 Travolution Award for "Best Technological Innovation"
We were delighted when Full Picture was announced as winner of the 2013 Travolution Awards for “Best Technological Innovation”. It was a hotly contested category with fellow finalists including giants of the travel technology sector; Travelport and Amadeus. Although only a prototype at the time, the judges could clearly see what Full Picture was all about and how it was going to make a huge difference to the way travel vendors engage woth their customers over the phone. Following our success at the Travolution Awards Full Picture picked up the prestigious Innovation in Travel award at the Globes; pipping Expedia, Norwegian Cruise Line and Momondo to the title. If the Travolution Award was recognition of Full Picture's technical innovation, the Globe represented the travel trade's endorsement of this game changing product. With convergence between online, retail and mobile channels becoming a key theme for travel brands, tonight’s winner has captured this in a product which truly ignites the potential of a travel purchase to excite and inspire. Often people equate innovation with technology…however technology should be an enabler…and something that fuels and enhances the people who sell travel…the true heroes of our industry. By developing a unique sales enabler, that utilises rich content to increase the productivity of call centre staff, improve conversion rates, and benefits both agents and consumers, tonight’s winner has achieved just that. In recognition of a product which is truly innovative and effective, I am delighted to announce that the winner of this year’s award, for its [Full Picture] Point Of Sales tool is Zolv. Further commendations and plaudits were awarded later in the year when Full Picture made the finalist list for 2014's TTG Leading Edge Award. Alongside Thomas Cook and The Azure Collection, this award celebrates Full Picture being a true and successful innovation in the travel industry over the past 12 months. Are you ready to get the Full Picture? We really DO mean it… seeing is believing! What better way to find out how Full Picture works and what it can do than to take it for a spin? Just sign up below for a free 30 day trial, or leave your details and we'll be in touch to give you a demo. So… are you ready to get the Full Picture? © 2019 Zolv.com Ltd. All rights reserved.